6 Things We Wish We Could Tell.. 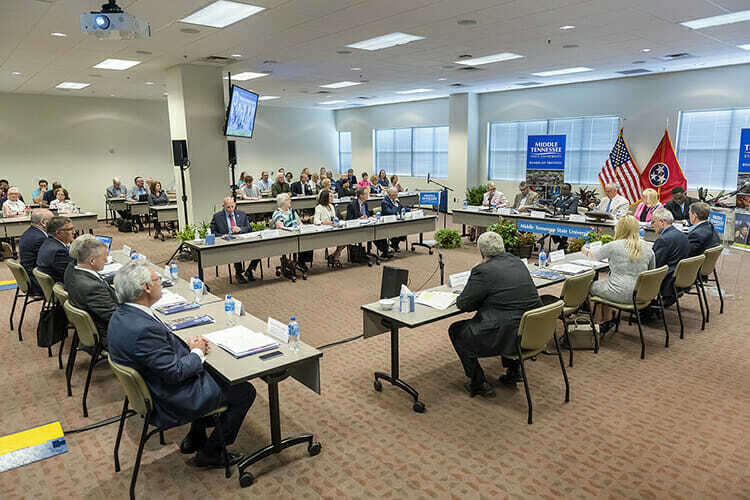 The Middle Tennessee State University Board of Trustees announces the following committee meeting and full board meeting for Tuesday, Sept. 18. All meetings will be held in the Miller Education Center, Second Floor Training Room, 503 E. Bell St. Audit and Compliance Committee: 11 a.m.; Agenda items include approval of minutes; recommendation concerning the 2019 Annual Audit Plan and risk assessment report; and, information and discussion on audits and investigations. Board of Trustees: 1 p.m.; Agenda items include reports from board committees; approval of items including minutes, proposed rules and policy amendments, expedited tenure, 2019 Annual Audit Plan and Risk Assessment Report; and information including the president’s report and technical revisions made to policies and rules. Meeting start times are approximate; if one meeting or lunch finishes early, the following meeting may begin earlier than noted. All meetings are open to the public. For parking details, go to http://www.mtsu.edu/maps/. For agenda details, to view the meetings livestreamed or for other information, go to www.mtsu.edu/boardoftrustees and locate the appropriate meeting under the “Meetings” dropdown.